The first two tops are Vogue 8526. It is an out-of-print pattern that I made a couple of years ago. I remember thinking that it fit so well I HAD to revisit it. 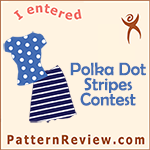 Well, when I went to do so, I couldn't find the pattern! I ended up re-ordering it on Ebay just so I could see if I enjoyed it as much the second time around. I definitely can say I did! The brown and green version have a crossover that joins beautifully, and fits nicely. I am still on the fence with wrap tops because I tend to have issues with gaping due to a hollow chest, but this top didn't need any tweaks. I have worn the brown version already, and noticed some minor shifting with moving about, but nothing out of the ordinary. Otherwise, this style is a nice change from my usual basic tops. 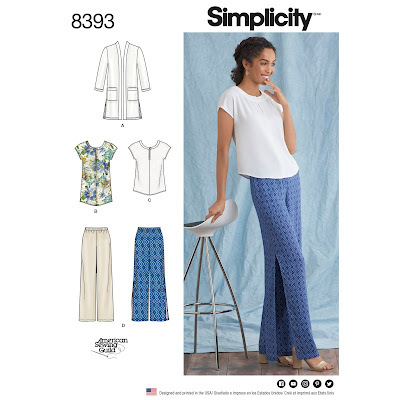 The third item is a pair of leggings from Simplicity 8212. These are the leggings I wanted to sew with my daughter, but since school started she has been busy with other things. She will get to her version one day, but in the meantime, I made a version and added a black lace accent to the bottom. Can I tell you that these leggings fit me perfectly??? I made them from a black knit I think I found at Fine Fabrics. If I find any other colors there the next time I visit, I would love to make these again! I am looking for neutrals like brown, charcoal, and gray, or even beige. I expected to need a full seat adjustment at the very least, but since I chose a super stretchy fabric, I didn't need one. However, for my next version I will experiment with adding some more fullness. I have already worn my leggings quite a few times. I mean, I have LOTS of black leggings (lol), but I really like the touch of lace on these. It goes so well with items in my closet, and is just enough to be different from the rest. I am sure I will find other places to squeeze lace in too! Overall, I didn't do so bad. My two unfinished projects are my Oakley vest and a black basic V-neck tee. The saga with the Oakley vest continues! Hopefully this month will be when it makes it's appearance. I chose it so that I can participate in the Cosy Cardi Challenge for this year again. If you sew a cardigan by Nov. 30th, and post it to Instagram, you can participate and have the chance to win awesome prizes! You can read all about it here. View C is my favorite view for Fall, but I also like the pockets on View D. If I can figure out a workable fit on a muslin, I may pursue both versions. I would love to finish a pair of Ginger jeans before the year is out! I am only apprehensive to start this project because I just know that it will take up a lot of time, especially with fitting them. 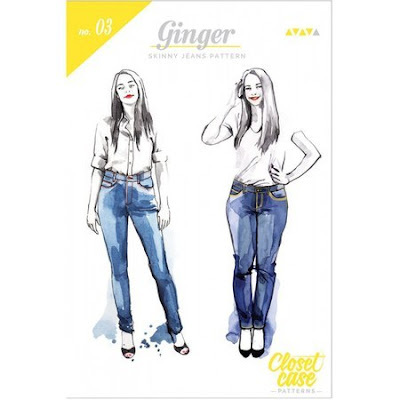 I like that lots of people have had success with this jeans pattern, and hope I will have the same. However, I am learning a lot about getting pants to fit, so it will be more practice for me too, lol! I am sure other things will come up for this month too, but this is me trying to keep it minimal. I already went into my sewing closet, cleaned/organized, and threw away what was no longer needed. 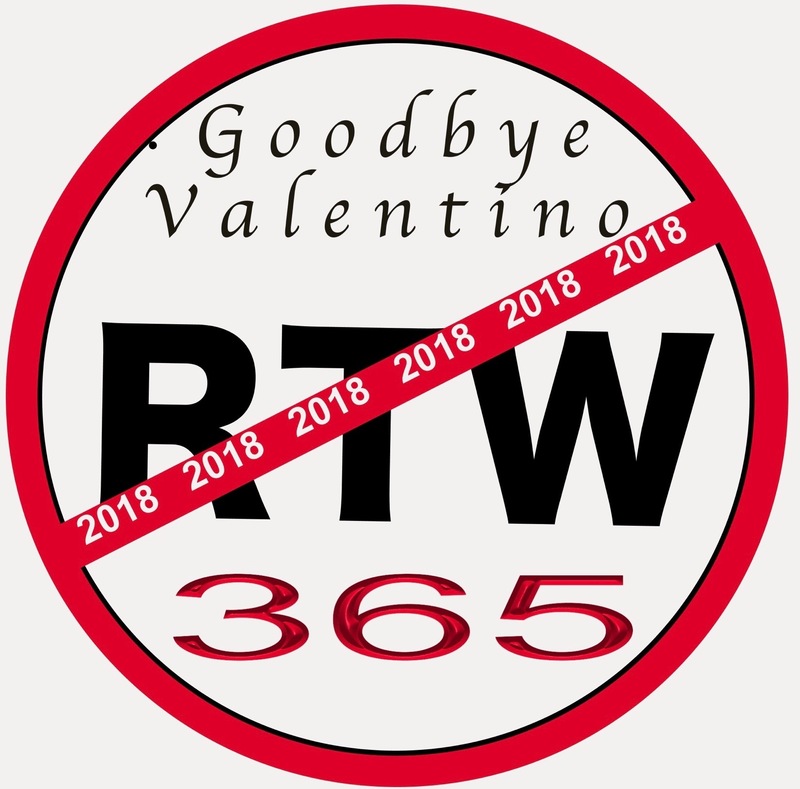 It is still hard for me to believe that the RTW Fast is almost over for this year! It feels like I just signed on, and I have truly been enjoying myself. Thank you for helping me stay on track this year, and learning so much in the process! I plan to keep going strong until the end of the year! I love your brown and green tops! I am not sure if I have this pattern or not, but will be checking as I like the higher chest wrap over. Your leggings look great. 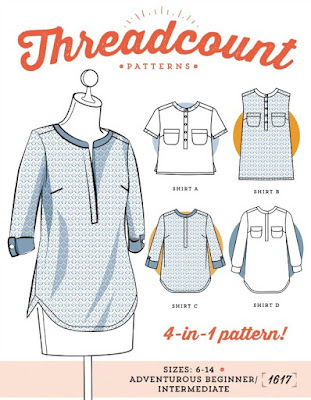 Never heard of Threadcount Patterns, will have to check that out. Not heard about the Cardi Challenge or maybe have forgotten. Like you we are visiting family for Thanksgiving so may run out of time to do all the sewing I would like. Thank you! I will likely run out of time too, but it is going to be fun to try!I hope you check out the Cardi challenge! Good luck with the jeans! They take a long time to fit but it’s worth it. Thank you! I will be at a snails pace, but I at least hope to get them started, lol! A great month! I love those tops. And isn't it great to find a leggings pattern that works? Such a simple garment that just doesn't work when they don't fit well. 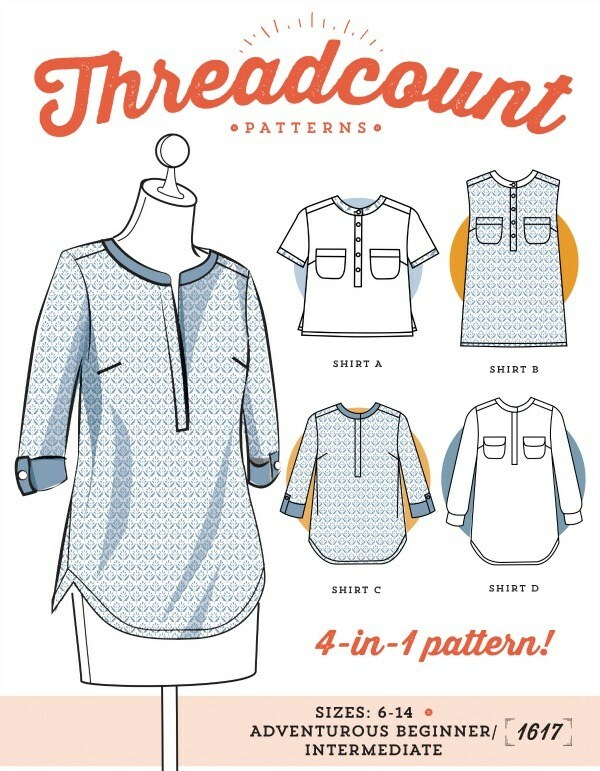 I like that Threadcount top a lot! Yes! I love finding a pair of leggings that fit well! And I look forward to sewing the TC top too. I have been stuck on shirts lately! Congratulations on making it almost to the end of the RTW fast. I'm sure you will stay strong until the end. 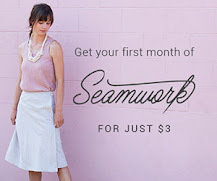 You had a good sewing month too. Hope you had a wonderful Thanksgiving! Thank you Carolyn! That is great encouragement! Great lineup and they fit so well! !